Security cameras are the ultimate home security product. Whether you live in a spacious home or in a gated community, they are designed fit your needs. Video cameras are an advanced addition for your home security system. The most basic security camera system would be a single camera connected directly to a monitor and a recorder to store the video. There are several different types of security cameras. A few security cameras are black and white security cameras, colored, wireless, and night vision security cameras. 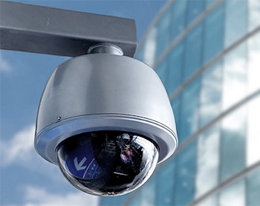 Besides differing in function and design, security cameras also vary in price. Some security cameras also allow remote access, therefore allowing access to the monitors through an Internet connection. Video monitors also come in a variety of sizes. It is best to buy a larger monitor because the smaller ones may be hard to view. ·	It has the ability to monitor people in your home. ·	It can save you money on your homeowner’s insurance. ·	It’s easy for you to know who is in your home at all times. No matter how much progress society makes in today’s world, the highest level of security a person feels is always in the presence of another person. That is what originated the concept of security guards, although the concept was always in practice-be it demanding security from a servant in medieval times or from soldiers in kingships. In today’s times, no matter how developed our security technology has become and no matter how advanced the locks are now, we still feel safe in the presence of someone- preferably a bodyguard. Homeland Patrol trains and develops many of the security guards that protect Miami and is one of the pre-eminent security companies in Miami. Countless Miami security companies are offering that exact protection for both your homes and the places of interest where you might feel even a little bit scared (there is news almost every day about shootings in malls, schools, and churches. Homeland Patrol, among other notable Miami security companies, has trained, fearless guards that stand by vulnerable areas: ATM machines, banks, stores , nightclubs, and other places where people gather. 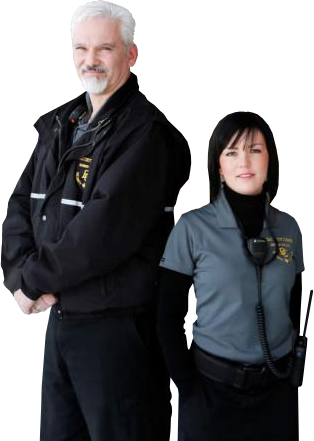 The security guard can insure, either exclusively or discreetly, that everyone gathered in that place are safe. Homeland Patrol’s Miami, Florida security guard force is trained rigorously, and is ready to face anything thrown in their way. After keeping everything safe and sound for so long, the credibility of Homeland Patrol’s Miami security guard operation and operatives is sterling and incomparable. Homeland Patrol also provides executive protection in Miami for over 15 years and has accomplished that by ensuring their guard force is handpicked and trained to perfection. This Executive Protection in Miami is verily one of the top levels of protection available as it has been providing this quality security and peace in the area for a long time now. There are many security guard companies in Miami, undoubtedly, but not many that excel at their security work and jobs with the high level of customer satisfaction and invested trust earned by Homeland Patrol. Among the many choices of security guard companies, Homeland Patrol Corporation has a notable presence and takes security duties and activities very seriously with the aim to please and deliver perfection to their customers. While traveling to, or living in Miami, one need not worry because our Miami security guard force is highly trained and able in what they do. They are selected from the best of the applicants and trained to meet the needs and requirements of the job in an expert, professional way, be that for guard duty, security patrol, or walking the perimeter for valuable real estate and assets. Their high level of training insures superior on-job performance. 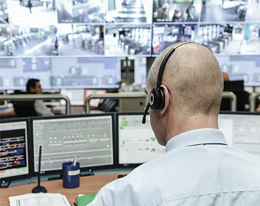 Our security personnel demonstrate acute mental awareness and agility, as well as honed physical skills so that they are able to analyze critical situations and act on command with well-made decisions. The quick-wit of our Miami security guard body has secured and protected people and property in the area for a long time. Security guard companies in Miami, including Homeland Patrol security, have been playing this role of the city’s protectors for a long time now. This responsibility is understood and was undertaken enthusiastically by Homeland Patrol, as one of the premier security guard companies in Miami, and who is fully capable of understanding reacting, and delivering well above standard performance for the city, the companies, and the people located in and working in the Miami area. The city is deemed safe for tourists, travelers, and residents and businesses by Homeland and other security guard companies in Miami who execute their job to perfection every day, as they should. 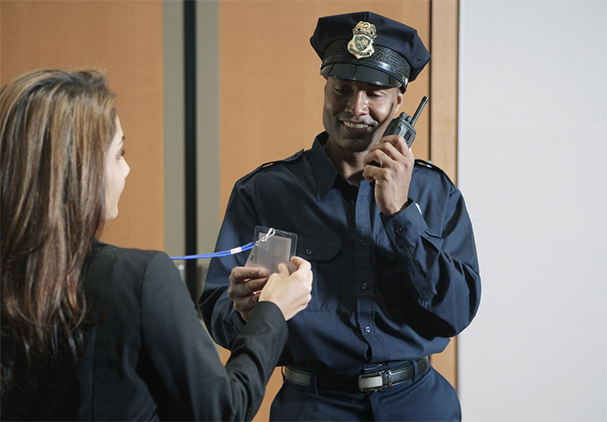 Homeland’s security guards can handle varied duties: executive protection; office lobby check-in; industrial site guard duty; construction security and patrol, etc. Homeland Patrol’s security guards in Miami are trained to such a level that they are fully educated on what is expected from them and strive to achieve that level of accomplishment for the sake of the citizens and more. With Homeland Patrol’s security guards present in Miami, the city surely rests in good hands. It doesn’t matter, if you’re in Alaska or Paris, Istanbul or Delhi, the highest-end places or the ‘burbs, you still need the same basic needs; food, shelter, and security. The security can go from having a guard at your door to having armed forces scouting the city for any danger to your health, wealth and assets. If you’re in Miami, though, you need not to worry. Miami Homeland Patrol’s security is the best protection there is in terms of efficiency, trust, and the ability to get the job done. Security guards can be provided for: executive protection; guard duty in offices, industrial sites, and construction sites; patrol duty on office or warehouse premises; special event duty: weddings, funerals, music events, other entertainment forums; etc. Security companies in Miami are indeed top-notch with many security companies providing the best protection to the citizens with Homeland Patrol being the best of the best. Their security services are indeed unparalleled because of the dedication to the job and the honesty of work by the people willing to do anything to safeguard their people. The security company in Miami, Homeland Patrol, is the best regional security, dealing with both the small and the large scale threats and doing an efficient and effective job of all the security companies in Miami. Homeland Patrol provides security in public places in case of any celebratory event and even otherwise, securing the perimeters of the whole Miami. Being in the state of Florida, the beautiful city attracts both wanted and unwanted attention from everyone around the world; and, to meet that need to provide exclusive Miami security to all the locals, as well as the tourists, is a challenge but one that Homeland Patrol, Miami security has embraced and is living up to. Homeland Patrol’s security services in Miami are rather exclusive and the security agency in Miami is the heart of all the controlled activities being performed to retain the peace among the people and to stop any violation of the law of all the varying degrees. Security companies in Miami are successful in maintaining the peace because of their well-trained officers. 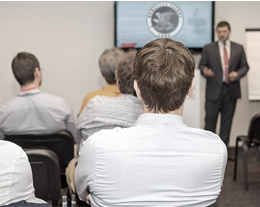 Miami security companies take it as their priority to train young people and mold them into fine security personnel that are able to function fluidly in any situation requiring monitorinting and protection. Homeland Patrol, as one of the premier security agencies in Miami makes sure that their training facilites and equipment are state-of-the-art and capable of fully training their personnel to produce superior security guards in Miami, as well as training security guards for businesses and other security companies. Their outstanding level of trainng creates personnel tha assures a great outcome in any security situation; and so far, Homeland Patrol has been equal to the task and outshown almost every other security agency in Miami, and continues to do so today. Because of their adherence to strict and logical standard procedures throughout the process, the security services offered in Miami by Homeland Patrol are remarkable, and known widely for producing the best officers in the field. Homeland Patrol, the security company in Miami, makes sure that their technology is up-to-date and their wheels ready to go 24/7. They invest heavily in the most functional stations and the latest field gear to facilitate all the parties. Their investment and dedication for these needs creates fulfillment is truly remarkable and applause-worthy as they put their best efforts in making this process smoother and the city safer. You can’t go wrong by hiring the best, so do visit our website and review our functions that fulfill your needs. Businesses and individuals that take advantage of your services have never been safer or more secure. That’s a fact! 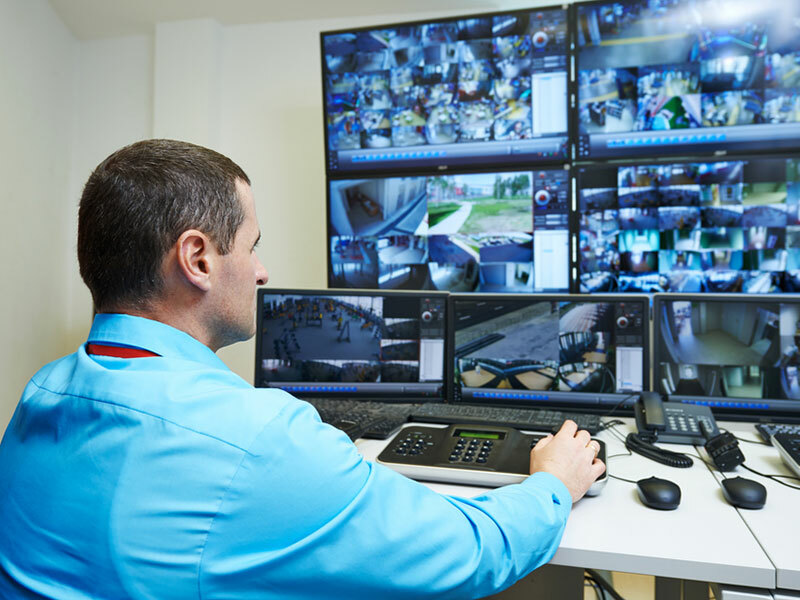 Choosing the right security services may not be a simple task for a typical first-timer. With many lackluster security firms out there, it is essential to choose a well-reputed company that can offer optimal surveillance deals in Miami-Dade and Broward Counties. Discover the Top 4 genuinely compelling reasons to choose Homeland Patrol’s dependable services if you’re scouting for the best security company in the business. As you scour the tricky industry for the most professionally streamlined services, make sure that you understand the ins-and-out of every individual and security company that you contact. Looking at Homeland Patrol, you can authenticate our technical abilities, check out the sterling career profiles of our competent guards and state-of-the-art surveillance systems we use to serve our esteemed clients. Some surveillance firms have long abandoned their honesty. As a result, you are required to work with trustworthy guards that have an established track record in the security industry. You may liaise with trusted watchdog hubs, such as the Better Business Bureau, to weigh a company’s level of client trust. Dig into consumer reports to ascertain the number of past clients the professionals in question have successfully handled. Engage a good number of trustworthy stakeholders in the industry in order to pick the most respected security service providers in Miami-Dade and Broward Counties. Here at Homeland Patrol, we present ourselves as an honest security agency whose motto places unquestionable integrity and admirable accountability beyond all else. If you’re looking for ethical and widely regarded security companies in Broward and Miami-Dade Counties, you have all the compelling reasons under the sun to try one of Homeland Patrol’s client-focused packages. As you search for the most seasoned Broward and Miami security guard service for any property-related safety issue, you are advised to pick an agency that’s been in existence for a quite some time. As a worthy precautionary tip, you shouldn’t get your security guards from a young surveillance agency that has just entered the demanding surveillance industry. You want knowledge and experience. 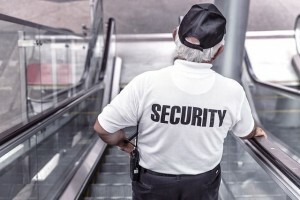 Since the veteran security companies in Miami have a higher likelihood of performing a high-quality job, you should consider hiring Homeland Patrol’s proficient security guards. We’re a longstanding safety and protection partner to hundreds of citizens of Miami-Dade and Broward Counties, as well as far-flung clients throughout the Sunshine State. 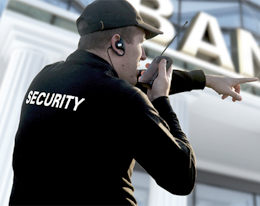 You aren’t the first person to look for security guard services in Broward and Miami-Dade Counties. As such, there are some pointers you really should know. First, you should personally talk to any particularly promising Miami security company’s previous customers. Doing so will allow you to get an insightful idea about their service delivery mechanisms. By the same token, confer with at least fifteen different individuals who have previously enlisted their Miami security guard services. These may include trusted friends, immediate relatives or sincere colleagues. 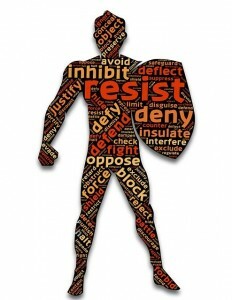 Ask them to offer you some highly rated Miami security companies that they have successfully worked with in the past. Regardless of the close associates you talk to, odds are you’ll hear an endorsing remark about Homeland Patrol’s fantastic Miami security deals. We exist so you can have the much-needed peace of mind when it comes to security and reliability. Go ahead, choose the insurmountable competence and experience, verifiable professionalism and ethical security services of Homeland Patrol.